When permissible exposure limits (PELs) are exceeded, companies can face heavy fines. Thankfully, Sy-Klone offers the RESPA® Series products that have proven case studies to show their effectiveness in reducing exposure, thus helping to reduce fines. Silica airborne particles are 20 times more toxic to the lungs than coal dust alone; nevertheless, silicosis is the world’s oldest known occupational disease. Workers who are exposed and inhale invisible Silica (RCS) particles are at increased risk of developing serious – and often deadly – silica-related disease. 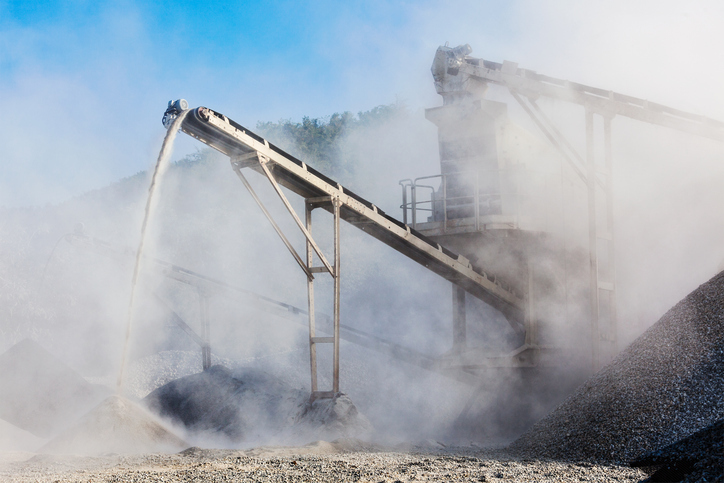 In the United States, the Mines Safety and Health Administration (MSHA) has introduced a new rule that has lowered the concentration limit for respirable coal dust from 2.0 mg/m³ to 1.5 mg/m³.In regard to Silica, the Occupational Safety and Health Administration (OSHA) new rule has been brought in and is expected that MSHA will follow suit. The new limit from OSHA’s new rule cuts the permissible exposure limit (PEL) in half from 100 to 50 micrograms (as an 8-hour time-weighted average). Failure to meet these limits means fines to the site. 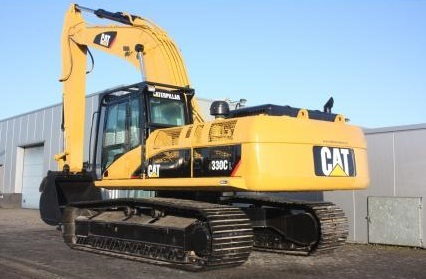 The case study below features an excavator using a RESPA® in 2008 & 2009. Since this study, Sy-Klone has introduced newer patented technology that is smaller and offers even better filtration options. So, while this case study is impressive, the newest technology reduces PELs even further. You can read about our newest technology here and even another case study here. 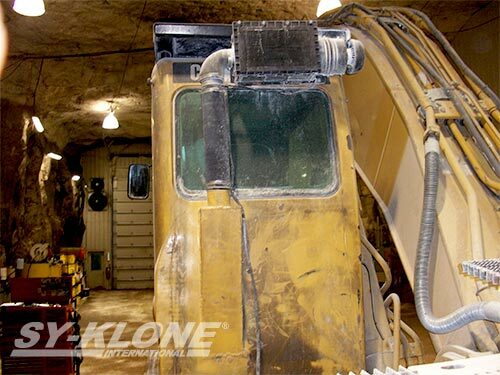 A Caterpillar 330CL excavator, operating as a scaler in an underground Silica Mine in Wisconsin, USA., was out of compliance each of the five times that the Mine Safety and Health Administration (MSHA) tested the average daily exposure rate of the operator to (RCS). Prior to the installation of the REPSA®, the excavator not only failed every time it was tested, but it failed by a rather dramatic margin. Guide to abbreviations and codes below, please scroll down. Failing results listed in red. The last time the machine failed, it received a D-Citation and the machine was removed from operation until it could be brought into compliance. Each of the citations was accompanied by a substantial fine. The RESPA® was properly installed on the sealed cab on 11/5/2009. MSHA tested the operator of the cab on 11/17 and 11/18 and for the first time since the excavator began operation at the mine, it passed the MSHA test. It was released to full operation in the mine. Since that time was again inspected on 2/3/2010 and was still under the Permissible Exposure Limit (PEL). The cost of the RESPA® installation was less than one of the MSHA fines. As the filter loads, cab pressurization is reduced. This problem is easily solved by a changing the fresh and recirculation filtration. This was a RESPA® installation which filters only the fresh air. With an upgrade to the RESPA-CF2 and a RESPA-FFX2 system (which addresses the fresh AND recirculation air), the silica concentrations would be dramatically reduced. Filtering all of the recirculation air within 2 minutes after the door is shut through high-efficiency filtration dramatically reduces the concentrations of silica in the cab. This is a proactive approach which leads to short decay times (the period of time it takes for the silica to fall or be taken out of the air) The RESPA® Cab and Enclosure Air Quality Products are the most effective solutions for meeting cab enclosure compliance requirements. The good news is that Sy-Klone developed RESPA in conjunction with NIOSH to provide a low-cost engineering control to help bring machines into PEL compliance. b) EC on the personal sample is less than 160 x EF, TC on the personal sample exceeds 160 x EF, and EC on the personal sample times the ratio of TC to EC from the area sample exceeds 160 x EF. Action: MSHA enforcement action taken.